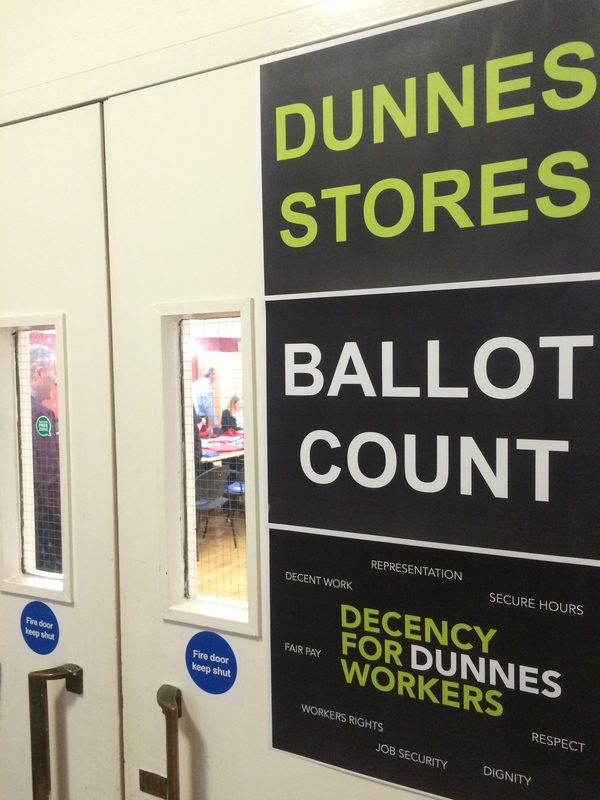 Mandate Trade Union members in Dunnes Stores have today (Friday, 6th March) voted by more than two thirds in favour of industrial action. The Union says a national strike committee will convene on Tuesday to determine the type of industrial action and the date of that action. Addressing the issues in dispute, Ms Mcloughlin said: “We have bills to pay and children to feed but we don’t know what hours we’ll get from week to week. We can’t live like this anymore. “Despite Dunnes Stores threatening job losses and cuts in hours, our members have taken the remarkable and very brave decision of voting in favour of industrial action. The close result of this ballot is a reflection of the nervousness felt by staff members over their security of income and security of their jobs,” continued Mr Light. He added, “Least we forget, Dunnes remains a highly profitable retailer with an estimated turnover of approximately €2.2b in the Irish grocery sector alone. It won’t cost them anything but pride to sit down and negotiate a banded hours framework which would afford their employees the same security of hours and income which is common place in all of their main competitors.